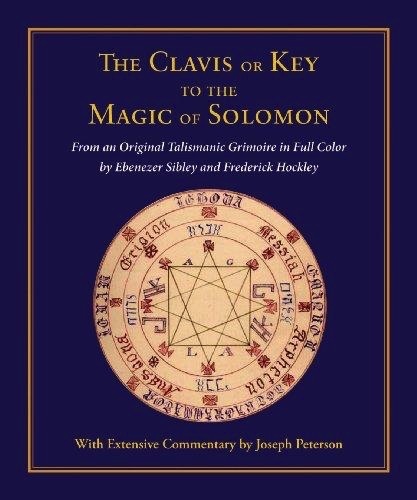 The Clavis or Key to the Magic of Solomon is one of several notebooks from the estate of Ebenezer Sibley, transcribed under the direction of Frederic Hockley (1808-1885). Sibley was a prominent physician and an influential author, who complemented his scientific studies with writings on the "deeper truths" including magic, astrology, alchemy, and hypnotherapy. Both Sibley and Hockley were major inspirations in the occult revival of the past two centuries, influencing A.E. Waite, S.L. Mathers, Aleister Crowley, as well as the Golden Dawn, Rosicrucian, and Masonic movements. This collection reflects Sibley's teachings on the practical use of celestial influences and harmonies. 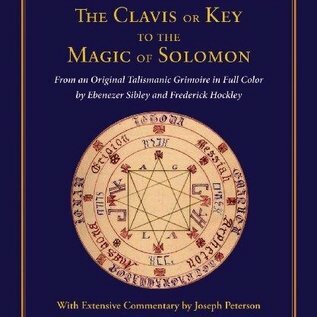 The Clavis contains clear and systematic instructions for constructing magical tools and pentacles for many practical purposes. It includes eight separate magical texts: The Mysterious Ring, Experiments of the Spirits, Birto, Vassago, Agares, Bealpharos, The Wheel of Wisdom, and the Complete Book of Magic Science. The manuscript reproduced here is the most accurate and complete known, very beautifully and carefully written complete with extraordinary hand-colored seals and colored handwritten text. 282 color pages with a color fold-out and a huge idex.